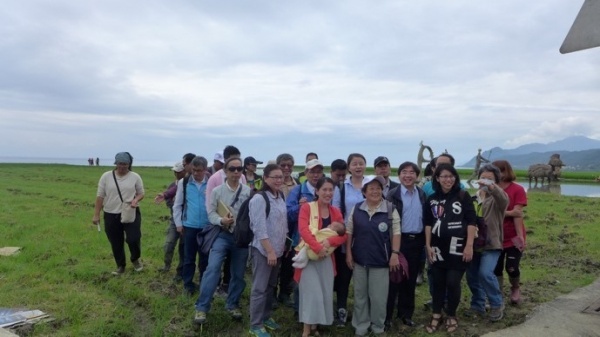 IPSI, the International Partnership for the Satoyama Initiative, promotes collaboration in the conservation and restoration of sustainable human-influenced natural environments (Socio-Ecological Production Landscapes and Seascapes: SEPLS) through broader global recognition of their value. A ‘Forest-River-Village-Sea Ecoagriculture Initiative’ was launched in October 2016. The collaborative mechanism for promoting the Initiative involves a Task Force composed of 6 core members as well as a Multi-Stakeholder Platform comprised of about 20 interested stakeholders including local community organizations, central and local governmental institutions, local school, academics, NGOs, NPOs, green enterprises for planning, implementation and monitoring of new goal and action plan of the Initiative. The summary sheet for this case study is available here. The middle and lower reaches of Taiwan island are mainly occupied with rural and urban areas. 80% of population is concentrated in urban areas which covers only 13% of Taiwan’s total land, while nature and rural areas cover 58% and 29% respectively (Lee, 2016). In the past in rural areas, livelihoods of local and indigenous communities depended on environmentally friendly agriculture, forestry, fishery and livestock farming. Impacted by urbanization, conventional farming and climate change in recent decades; however, rural areas have been suffering from problems including aging, production landscape deterioration, economic depression, and traditional ethics and culture disappearance. The negative impact on biodiversity of reduced human intervention in rural areas has also become a problem in Taiwan. Due to changes in resource use and the decreasing and aging population of people managing forests and farmlands, the socio-ecological production landscapes and seascapes (SEPLS) are no longer being maintained as they once were. Consequently, species that live specifically in SEPLS, such as African grass owl, leopard cat, Chinese box turtle, Johns’ frog, paradise fish, crab-eating mongoose, greater painted-snipe and pangolin, that have been maintained by human intervention are now in danger of extinction. In contrast, the populations of wild boar and monkeys have been expanding rapidly and are having adverse effects on ecosystems and causing severe damages to the agriculture and forestry as well as the livelihood of rural communities. The integrity and connection among forests, rivers, human settlements and seas in natural and rural areas of Taiwan thus need an integrated landscape approach to conservation, revitalization and sustainability. 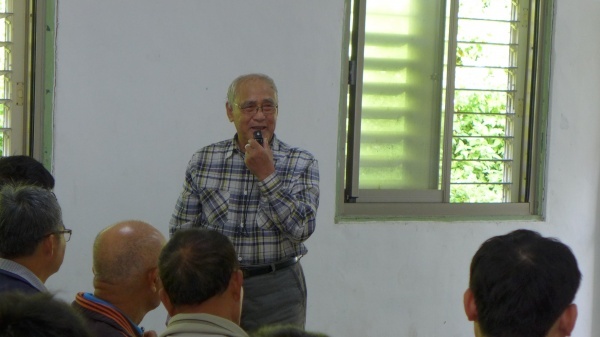 There is an urgent need to reposition the role and function of connectivity in rural areas of Taiwan. 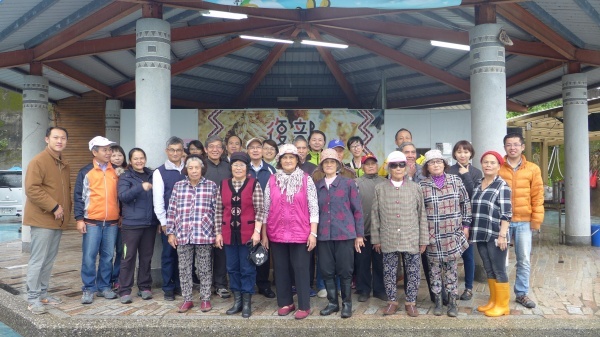 Through conservation and revitalization of SEPLS, it is likely to enhance the reciprocal exchange between rural and urban areas as well as restore the key role of rural areas linking natural and urban areas in Taiwan. Conservation and revitalization of SEPLS needs a more participatory and comprehensible approach, so that local people in the area and other stakeholders can be involved in the planning and management processes However, there has been a lack of empirical research to develop such kind of approaches. 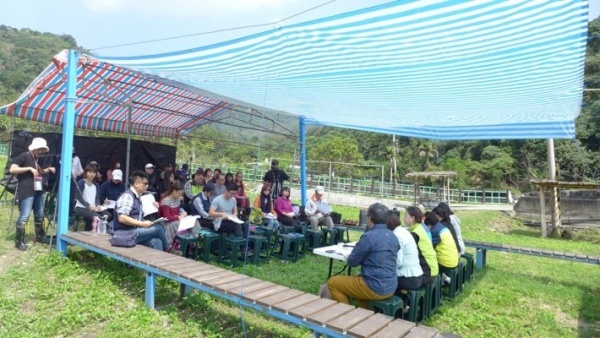 The article aims to analyze the processes and outcomes of the innovative ‘Forest-River-Village-Sea Ecoagriculture Initiative’ launched from October 2016 to Dec 2017 in Xinshe village, Hualien, Taiwan. The goal of the study is to provide relevant government authorities, rural communities and other stakeholders with reference so that they can work collaboratively on development of a more community-based and landscape approach to revitalization of rural areas. The case study area starts from the ridge of the Coastal Range on the western side, extending eastward and descending into a watershed of about 600 hectares of land surrounded by the Pacific coast. The upper reaches of the watershed is distributed with national forests, in the valley in the middle reaches we can find Dipit tribe, an Amis settlement, and its farmland. In the lower reaches from the valley downward to the coastal terrace exists Xinshe tribe, a Kavalan settlement, and its farmland (Figure 1). Both of the settlements and farmlands of the Dipit tribe and Xinshe tribe are situated inside the complete watershed on the eastern side of the Coastal Range, connecting forests, rivers, settlements and seas. Residents live at the middle and lower reaches of the river in the valley, with the river system connecting socio-ecological production landscape and seascape: Forests and streams upstream provide residents downstream with drinking and irrigation water, firewood and wild edible plants. 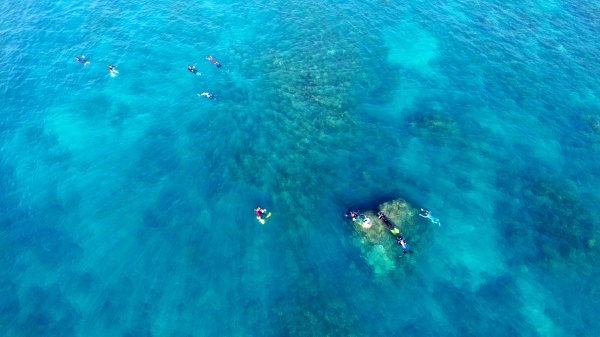 Surface and ground water that goes through productive farmlands and settlements is discharged into the sea, which affects ecosystem of the coastal coral reefs, which in turn affects the fishery of above two settlements. Two different ethnic groups of indigenous settlements and their farmlands are located in the same watershed surrounded by forests and seas. In the past, different government sectors worked separately on different community affairs for different settlements. Resources conflicts over water usage, hunting and fishing rights happened from time to time between two above settlements. An integrated landscape approach needed to be applied and a cross-sector collaborative governance needed to be built up in the area to deal with above issues. The case study area, since October 2016, has been recognized, dedicated and managed, through an effective area-based conservation measure with help of a multi-stakeholder cross-sector platform. The platform was designed to set up new goal and action plan of the area as well as to implement the plan collectively for enhancing ecosystem services and indigenous cultural values for both indigenous communities. The vision is to help local indigenous communities to live in harmony with nature through revitalization of SEPLS of the area. The study employed two strategies as follows. 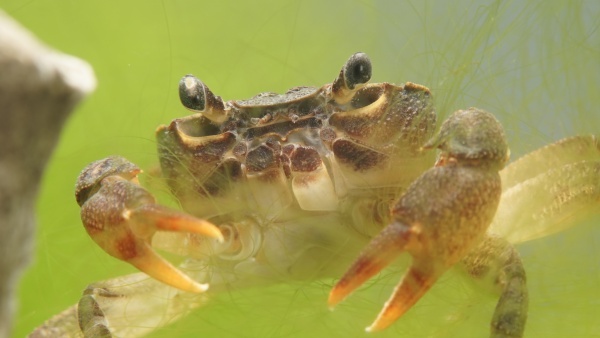 First, the study employed a landscape and participatory approach to incorporating both the framework of the Satoyama Initiative’s three-fold approach (UNU-IAS, 2010) and the idea of IUCN protected area category V ‘protected landscape/seascape’ (IUCN 1994; Phillips 1995, 2002) into the planning process of the ‘Forest-River-Village-Sea Ecoagriculture Initiative’ in Xinshe village. The study learns, from a broad viewpoint, about the idea of IUCN protected area category V ‘protected landscape/seascape’. According to IUCN’s definition, a protected area is ‘a clearly defined geographical space, recognized, dedicated and managed, through legal or other effective means, to achieve the long-term conservation of nature with associated ecosystem services and cultural values’. The case study area, since October 2016, has started to be recognized, dedicated and managed, not through legal means but through collaborative planning and management with help of an area-based multi-stakeholder platform. The design and operation of the platform, will be illustrated as follows, has been an effective means to set up the long-term conservation goal of the area as well as the short-/mid-terms action plans, in line with the framework of three-fold approach to Satoyama Initiative, for enhancing ecosystem services and indigenous cultural values for local indigenous communities. Thus, the case study area can be regarded as an IUCN category V ‘protected landscape/seascape. Second, to monitor the process and outcomes of the above management plan, the study adopted the indicator evaluation system from UNU-IAS’s ‘toolkit for the Indicators of Resilience in Socio-ecological Production Landscapes and Seascapes (SEPLS).’ It was found that the five categories of 20 indicators of resilience in SEPLS correspond well with the five perspectives of the Satoyama Initiative’s three-fold approach (Figure 2; UNU-IAS, 2010; Lee, 2016; Lee et al., 2016; UNU-IAS et al., 2016). 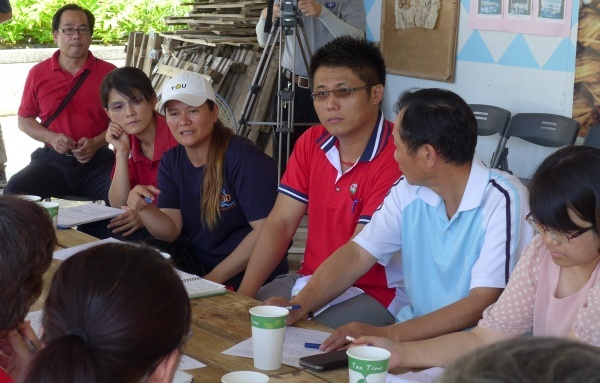 Since the tasks of the management plan of the ‘Xinshe Forest-River-Village-Sea Ecoagriculture Initiative’ were assigned in line with the five perspectives of the three-fold approach to the Satoyama Initiative, as mentioned before, UNU-IAS’s five categories of 20 indicators of resilience in SEPLS can be relevant for monitoring progress and outcomes of the management plan. 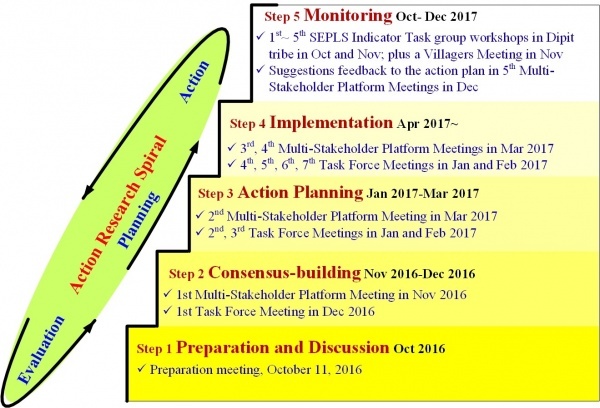 As follows, five steps of the participatory planning processes (Figure 3; including preparation and discussion, consensus-building, action planning, implementation and monitoring; Elcome and Baines 1999) for the ‘Xinshe Forest-River-Village-Sea Ecoagriculture Initiative’ from October 2016 to Dec 2017 were facilitated and analyzed by the research team of National Dong-Hwa University (NDHU). Figure 3. 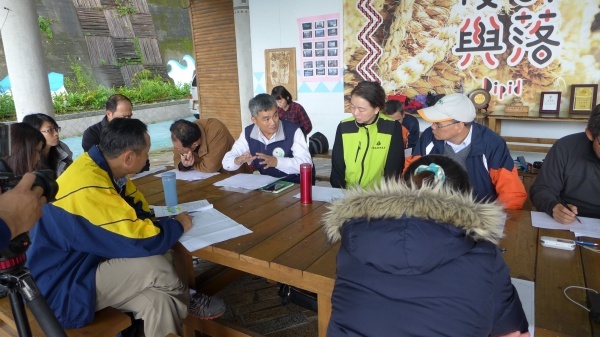 Planning and management processes of the ‘Forest-River-Village-Sea Ecoagriculture Initiative’ from October 2016 to Dec 2017 in Xinshe village, Hualien, Taiwan. 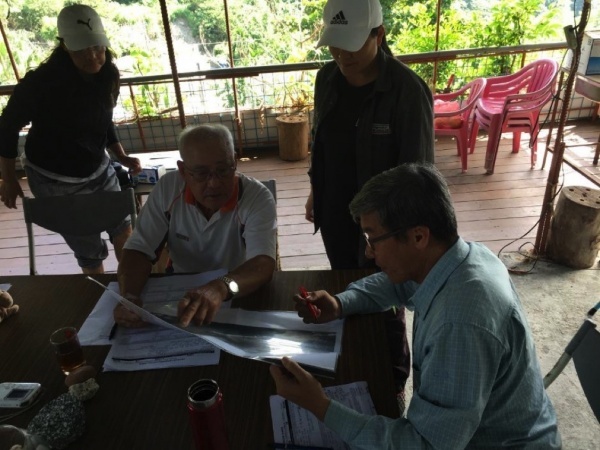 Before the end of 2016, several governmental institutions worked separately with either the Dipit tribe or the Xinshe tribe on different aspects of tasks for nature conservation or rural community revitalization: Since 2010, with the help of NDHU, the Hualien Forest District Office of Forestry Bureau (HFDOFB) assisted the Dipit tribe, year by year in engaging in natural resources investigation, indigenous edible plants survey, and eco-tourism planning and implementation. From 2015, HFDOFB took a further step to work with Dipit to conduct the ‘Joint Community Forest Protection Program,’ in which local people patrol mountain forests to help prevent illegal logging and poaching. 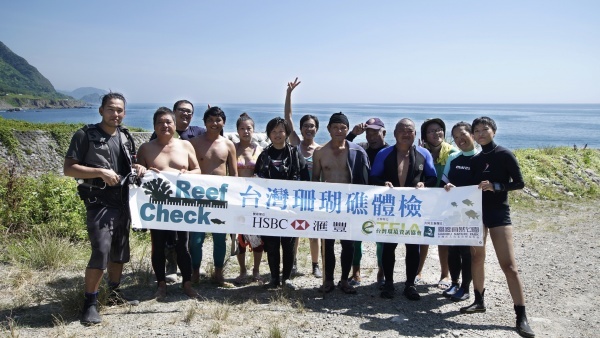 As of 2011, through Rural Rejuvenation Programs, Hualien Branch of Soil and Water Conservation Bureau (HBSWCB) helped Dipit with capacity building and training, community greening and facility enhancement, and other activities such as drawing back college students to the rural. What’s more, as from 2014, Hualien District Agricultural Research and Extension Station (HDARES) promoted organic rice farming in the Xinshe tribe and increased the landscape diversity through planting grass carpets on rice field ridges, slopes and surrounding hedges for control of pests through natural enemies. The above governmental institutions tended to answer for one single settlement based on their own authority, which inevitably resulted in an undesirable situation where each institution assisted various settlements with only one certain aspect. However, the overall economic, social and environmental problems of the area could only be resolved through a kind of cross-sector/ multi-stakeholder collaboration. Inspired by the ideas of the Satoyama Initiative and ecoagriculture (McNeely and Scherr, 2003; Scherr and McNeely, 2007, 2008), the research team of NDHU started to consider that the works in Xinshe village should not be confined to isolated or small-scaled patches of farmlands and settlements, but rather they should focus on the entire SEPLS as shown in Figure 1. 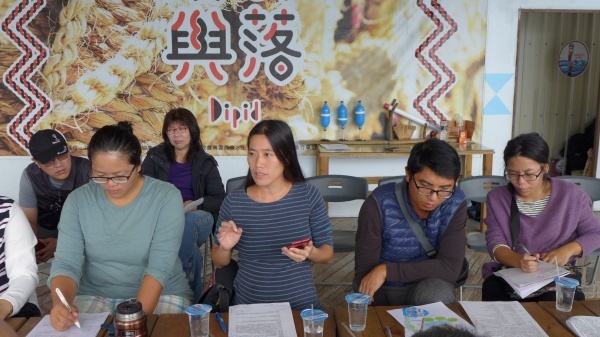 At the suggestion of the research team of NDHU, on 11th October 2016, the director Ms. Melinda Fan of HDARES invited two directors of HFDOFB and HBSWC, local people from Xinshe and Dipit tribes to discuss the idea of the ‘Xinshe Forest-River-Settlement-Sea (森-川-里-海) Ecoagriculture Initiative.’ Participants, in total 10 people, of the meeting generally welcomed the idea and suggested HDARES and NDHU to help set up a formal multi-stakeholder platform for planning and management of the Initiative. For the second stage, from November to December 2016, two formal multi-stakeholder meetings were held in local area to discuss the design of a collaborative mechanism for multi-stakeholder participation. On November 30, 2016, the first formal multi-stakeholder meeting was convened by the director of HDARES and held in Dipit tribe. 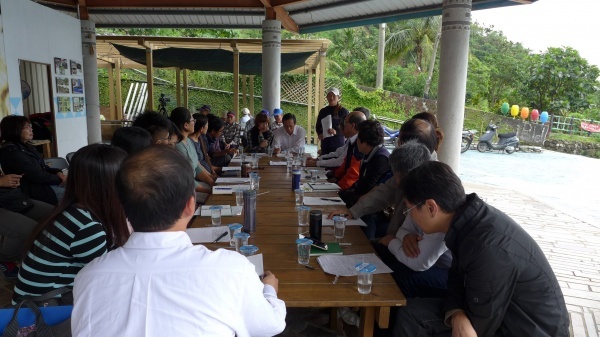 There were 23 people including two directors and several staffs from HFDOFB and HBSWC, local people from Xinshe and Dipit tribes present at the meeting. Based on the draft prepared by NDHU research team, participants discussed and reached a consensus on the Operational Mechanism of Multi-Stakeholder Participation in ‘Xinshe Forest-River-Settlement-Sea Ecoagriculture Initiative.’ Besides, participants all agreed to regard the meeting on that day as the first Task Force Meeting that would be composed of 6 core members including Xinshe and Dipit tribes, HDARES, HFDOFB, HBSWC and NDHU. 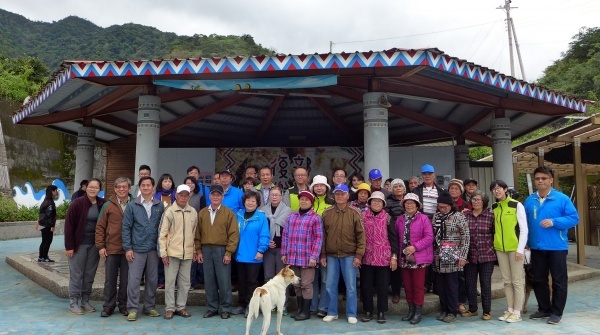 On December 20, 2016, the first Multi-Stakeholder Platform Meeting was convened by the director of HDARES and held in Xinshe tribe. 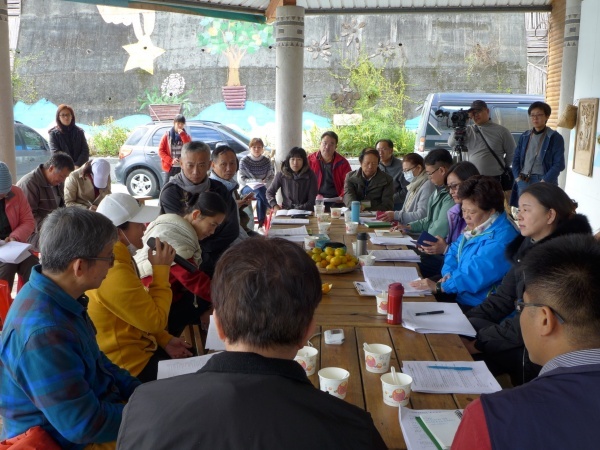 There were about 40 people including two directors and several staffs from HFDOFB and HBSWC, local people from Xinshe and Dipit tribes, NGOs and other governmental institutions present at the meeting. 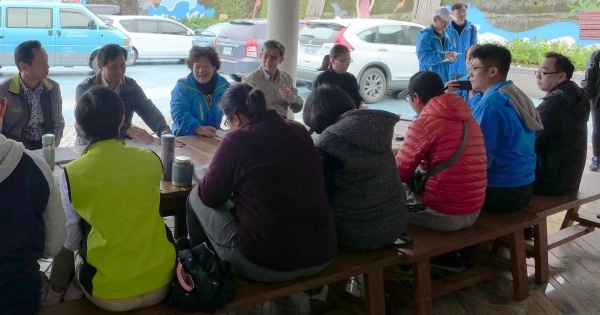 Members of Task Force explained to all participants about the origin and goal of the ‘Xinshe Forest-River-Settlement-Sea Ecoagriculture Initiative,’ as well as the draft of Operational Mechanism of Multi-Stakeholder Participation in the Initiative. In the end, all participants agreed with the name and goal of the Initiative and the Operational Mechanism of Multi-Stakeholder Participation for promoting the Initiative. One innovative consensus achieved at this stage was about ‘who is the convener?’ for the Task Force and Multi-Stakeholder Platform Meetings for the Initiative. With a view to achieving the goal of sharing not only results but also responsibilities, at the first Task Force Meeting held in November 2016, HDARES suggested meetings be convened in turn by: HDARES, HFDOFB and HBSWC. Attending leaders of the three institutions and representatives of the two tribes quickly agreed to the suggestion. It was also hope that the local communities, namely, Xinshe and Dipit tribes could be in charge of convening and chairing in the near future. The above resolution was subsequently approved by all the participants at the first Multi-Stakeholder Platform meeting in December 2016. Objectives: In line with the frameworks and guidelines of Satoyama Initiative and ecoagriculture, it is our hope to realize the vision of ‘living in harmony with nature’ in the Amis settlement, Dipit tribe and the Kavalan settlement, Xinshe tribe, Hualien through a multi-stakeholder platform working on revitalization of SEPLS. It is hoped that through environmentally friendly farming and fishing, the livelihoods of both indigenous communities, terrestrial biodiversity (such as crab-eating mongoose, crested serpent eagle, crested goshawk) and coastal ecosystem (such as coral reefs) can be all enhanced. Collaborative mechanism: The collaborative mechanism for promoting the Initiative involves a Task Force composed of 6 core members including Xinshe and Dipit tribes, HDARES, HFDOFB, HBSWC and NDHU, as well as a Multi-Stakeholder Platform comprised of all interested stakeholders (at that time 20 members or so) including local community organizations, central and local governmental institutions, local school, academics, NGOs, NPOs, green enterprises. Meeting frequency and venue for the Task Force and the Multi-Stakeholder Platform: October 2016 to December 2017 is the duration of intensive planning. The regular Task Force Meetings are to be held in January, February, April, May, July, August, October and November while the regular Multi-Stakeholder Platform Meetings are to be held in March, June, September and December. Adjustments are possible, regarding the progress. 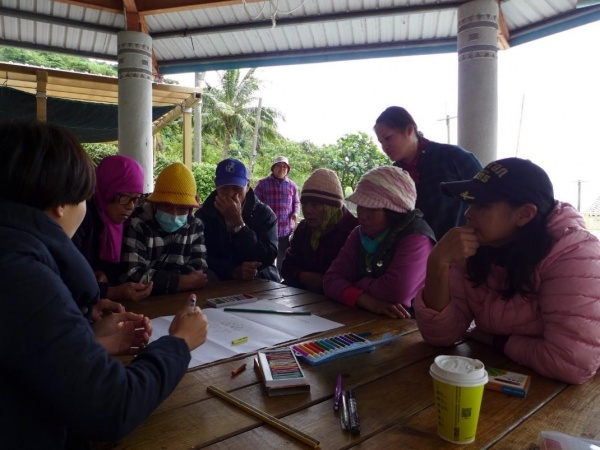 Meetings are held in turn at the community center in Kavalan Xinshe tribe and the activity center in Amis Dipit tribe. Conveners of the Task Force and the Multi-Stakeholder Platform and the primary role of the two local tribes: Both Task Force and the Multi-Stakeholder Platform Meetings are to be convened in turn by: HDARES, HFDOFB and HBSWC. 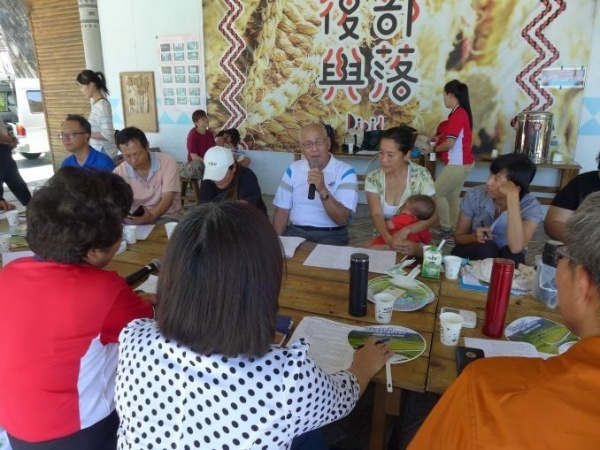 The ultimate goal is to empower the primary stakeholders, namely the Xinshe and Dipit tribes, to be able to convene and chair the meetings in the near future. Facilitator of the Task Force and the Multi-Stakeholder Platform: College of Environmental Studies of National Dong-Hwa University (the Laboratory of Landscape Conservation and Community Participation, namely the research team). For the third stage, from January to March 2017, two Task Force Meetings and one Multi-Stakeholder Platform Meeting were held each month in local area to figure out a short-/mid-terms action plan for promoting the Initiative. Each of the meetings was chaired by the department heads of the three units. 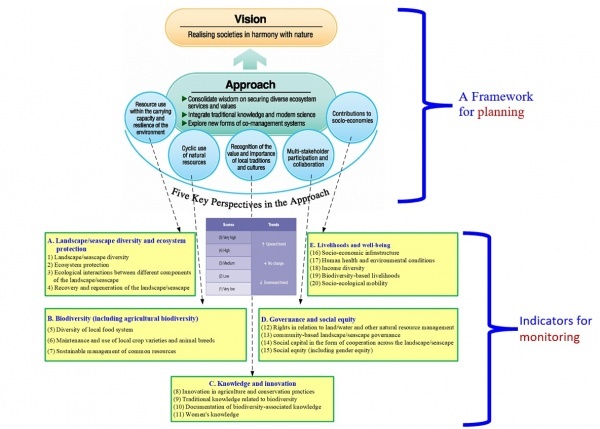 Making reference to the ‘vision-methods-perspectives’ framework of three-fold approach to the Satoyama Initiative, an Action Plan for the Initiative was jointly discussed, revised and completed in March 2017, which contains a detailed structure of division of labor with 5 major categories and 38 tasks and their expected durations (short, medium or long term), main organizers and co-organizers and so on (simplified as the Table 1). At the beginning of the implementation stage, in the Task Force Meeting on 24th April 2017, NDHU suggested to give clear functions to the two different meetings. For the Task Force Meetings, to give priority to issues that require immediate attention, issues proposed by the two tribes should be the focus of reporting and discussion. 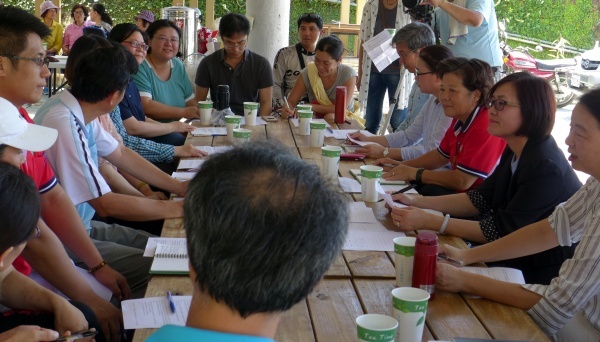 Besides, ways of conducting meetings can be flexible, both indoors and outdoors, so that participants can explore the issues in a solution-oriented way. On the other hand, the function of the Multi-Stakeholder Platform Meeting is to take an overview on the progress of relevant tasks assigned in the action plan. Each major organizer assigned in the action plan is responsible for reporting the progress, difficulties and outcomes, and discussing collaborative strategies needed. In the Multi-Stakeholder Platform Meeting on 18th July 2017, participants considered the Initiative had been promoted on track and decided to adjust the meeting frequency. The regular Task Force Meetings are to be held in February, April, August and October while the regular Multi-Stakeholder Platform Meetings are to be held in June and December. For the implementation stage, from April to December 2017, in total four Task Force Meetings and two Multi-Stakeholder Platform Meetings were held in local area to implement the action plan for the Initiative. Both the regular Task Force and Multi-Stakeholder Platform Meetings did provide good opportunities of public forums and arenas for multi-stakeholder participation and cross-sectoral collaboration for the Initiative. However, NDHU research team thought it would be better to explore local people’s opinions about the process and outcome in a more direct and comprehensive way. Among the two tribes, the research team chose Dipit tribe first to conduct a pilot exploration at the monitoring stage in 2017. The research team adopted the indicator evaluation system from UNU-IAS’s ‘Toolkit for the Indicators of Resilience in Socio-ecological Production Landscapes and Seascapes (SEPLS)’ which classifies twenty resilience indicators into five categories (Figure 2; UNU-IAS et al., 2014). Since the tasks of the management plan of the Initiative were assigned in line with the five perspectives of the three-fold approach to the Satoyama Initiative, as mentioned before, UNU-IAS’s five categories of 20 indicators of resilience in SEPLS can be relevant for monitoring the progress and outcome of the management plan. The research team first invited 4 local people in Dipit tribe to set up a ‘indicator task group.” In total 5 indicator task group workshops were conducted from 27th October to 30th November 2017 to help local people evaluate 5 groups of 20 resilience indicators (Figure 4). The outcome showed that the evaluations of first three groups of resilience indicators were ‘medium’ while the last two groups were ‘high.’ Local people were worried about the decrease of landscape/seascape diversity, agro-biodiversity and local knowledge compared to the past. On the other hand, with the help of the Task Force and the Multi-Stakeholder Platform Meetings, local people were happy about the improvement of collaborative governance, livelihood and wellbeing. In above indicator task group workshops, group members also figured out strategies for enhancing resilience with respect to each indicator. 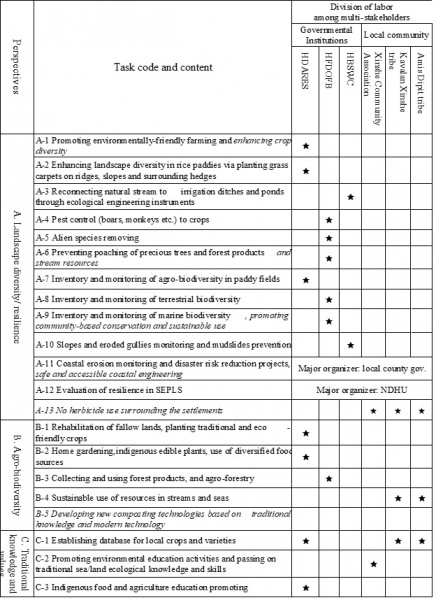 To put these ideas into practice, the research team worked with group members used above strategies to review and revise the content of 38 tasks in the Action Plan for ‘Xinshe Forest-River-Village-Sea Ecoagriculture Initiative’ (Table 1 in italics). Note: (1) This table lists only primary jobs organized by Task Force members (the three bureaus under COA and two local tribes); (2) NDHU is also a member of Task Force, whose main job is giving assistance to tasks A12, D1-D3; (3) The italic words are the revisions made by the SEPLS resilience indicator task group and got approved by the Multi-Stakeholder Platform Meeting in December 2017. Second, with help of the indicator task group members, the research team invited all residents in Dipit tribe and held a ‘villager meeting’ on 19th December 2017. The purpose of the meeting was to inform all villagers the process and outcomes of indicator evaluation done by the task group members and ask for their feedback. Finally, the suggested revisions of the existing action plan for the Initiative proposed by the Dipit indicator task group were brought into the Multi-Stakeholder Platform Meeting held on 21th December 2017 and successfully got approval. 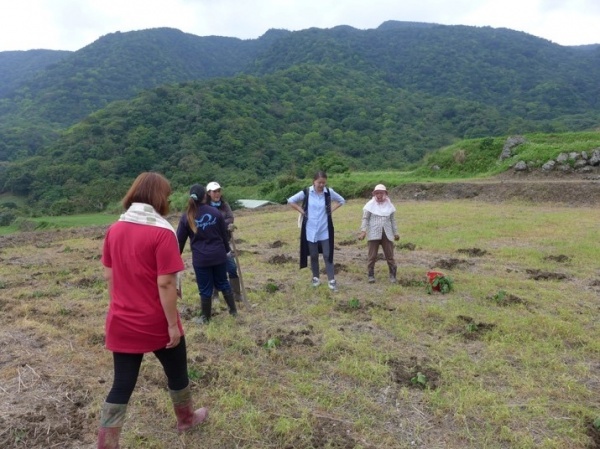 Inspired by the ideas of the Satoyama Initiative and the ecoagriculture, since October 2016, the case study area has started to be planned and managed collectively with help of an area-based multi-stakeholder platform composed of about 20 representatives from local indigenous communities, governmental institutions, the local school, academics, NGOs and green enterprises. Both the Task Force and Multi-Stakeholder Platform Meetings employs an integrated landscape and community-based approach to enhancing sustainable use of biodiversity by the communities and resilience of SEPLS. 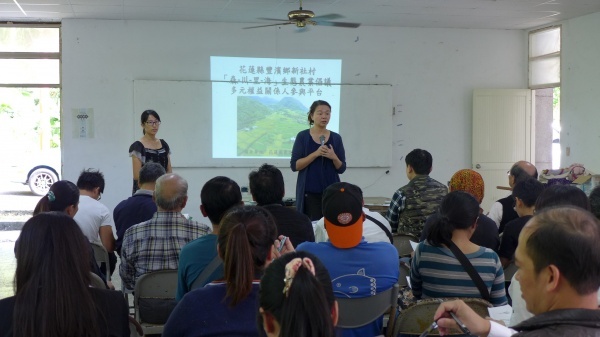 A short-to-long-term action plan for ‘Xinshe Forest-River-Village-Sea Ecoagriculture Initiative’ was drew up collectively by stakeholders in April 2017 in line with the framework of three-fold approach to the Satoyama Initiative. To monitor the progress and outcomes of the Initiative, the research team adopted UNU-IAS’s indicators of SEPLS and conducted a series of workshops with local people to evaluate 20 resilience indicators as well as figure out strategies for enhancing resilience with respect to each indicator. The suggested revisions of the existing action plan for the Initiative proposed by the local indicator task group were brought into the Multi-Stakeholder Platform Meeting for approval. The small local working group can be an effective way to explore more in-depth understandings of local people about the indicators of resilience of the area. In general, the participants agreed that the indicator system of resilience of the local area, based on landscape scale, was workable and the outcomes would be helpful to the future management of the area. The collaborative mechanism for promoting the Initiative comprises a Task Force of core members as well as a Multi-Stakeholder Platform. Both the Task Force and the Multi-Stakeholder Platform Meetings were designed to be taken place in turn of the two settlements and to be convinced/chaired in turn by the key governmental institutions. The goal is to share responsibilities and resources among local governmental institutions and to empower the two indigenous settlements. The collaborative mechanism proves to be an innovative and effective means to help stakeholders collectively set up cross-sectoral action plans for enhancing ecosystem services and indigenous cultural values for local indigenous communities. 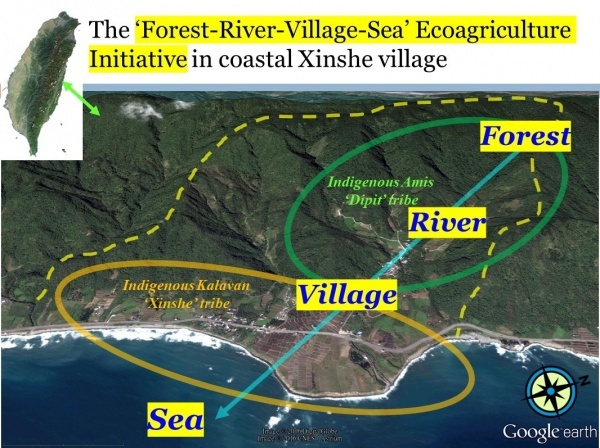 The Multi-stakeholder Cross-sector Partnerships for the ‘Xinshe Forest-River-Village-Sea Ecoagriculture Initiative’ provides an integrated landscape approach and a potential new paradigm for revitalization of SEPLs in Taiwan where many cross-level/sector stakeholders need to be involved in local areas. 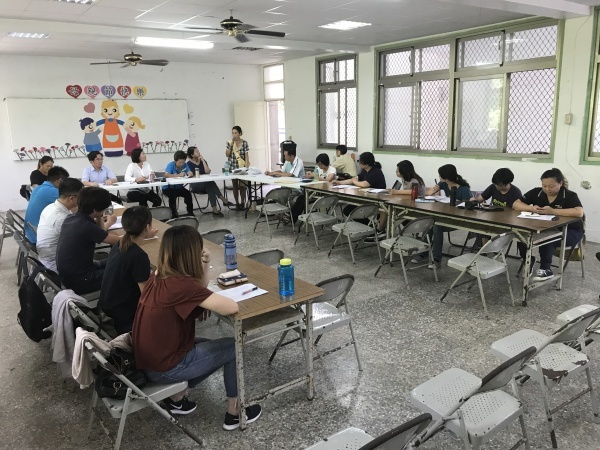 Two places, Toucheng and Shuanglianpi, in I-lan County Taiwan have learned experiences from here and started to plan for similar multi-stakeholder cross-sector partnership platforms in 2018. Elcome, S. and Baines, J. (1999) Steps to success- Working with residents and neighbors to develop and implement plans for protected areas, IUCN, Commission on Education and Communication/ European Committee for Environmental Education, IUCN, Switzerland. IUCN (1994) Guidelines for Protected Areas Management Categories. IUCN, Cambridge, UK and Gland, Switzerland. McNeely, J.A. and S.J. Scherr. (2003) Ecoagriculture: Strategies to Feed the World and Save Wild Biodiversity. Washington, DC: Island Press. Phillips, A. (1995) Cultural landscapes: an IUCN perspective. In von Droste et al., 380-392. Phillips, A. (2002) Management Guidelines for IUCN Category V Protected Areas: Protected Landscapes/Seascapes. IUCN Gland, Switzerland and Cambridge, UK, xv + 122pp. Scherr S.J. and McNeely J.A. (eds) (2007) Farming with nature: the science and practice of ecoagriculture. Washington, DC: Island Press. Scherr, S.J. and McNeely, J.A. (2008) Biodiversity conservation and agricultural sustainability: towards a new paradigm of ‘ecoagriculture’ landscapes. Philosophical Transactions of The Royal Society B, 363: 477–494. UNU-IAS (2010) Biodiversity and Livelihoods: the Satoyama Initiative Concept in Practice. Institute of Advanced Studies of the United Nations University and Ministry of Environment of Japan. UNU-IAS, Bioversity International, IGES and UNDP (2014) Toolkit for the Indicators of Resilience in Socio-ecological Production Landscapes and Seascapes (SEPLS). Tokyo: The United Nations University Institute for the Advanced Study of Sustainability (UNU-IAS).